30-06 Springfield cartridge are known as “thirty-aught-six” or “thirty-oh-six”. 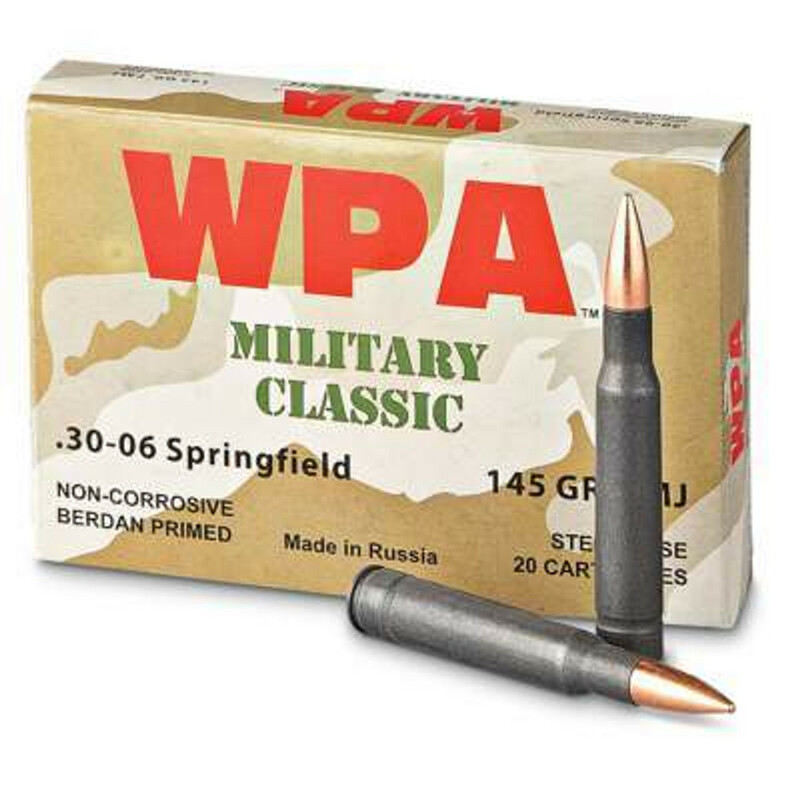 Ammo Board, is your one stop shop to buy high quality Bulk 30-06 Springfield Rifle Ammunition. We sell ammunition by the box and bulk with free shipping service. All the ammunition displayed on our website is in stock and ready for free shipping. We carry 30-06 ammo from top branded & great ammunition manufacturers such as Federal, Hornady, Malaysian, Alexander and others. Visit our Ammo Board selection now! Buy best Bulk Rifle ammunition for target shooting or personal protection.